Where can your little ghouls and goblins load up on sugar and show off the clever costumes you spent hours making? Several spots throughout the county are having trick-or-treat activities and costume parades on Halloween, Saturday, Oct. 31. Here's where to go for the good stuff. Kids are invited to meet at the kiosk a little before 11 a.m. for the McKinleyville Shopping Center Halloween Parade at 11 a.m. (free) to parade around the shopping center to trick-or-treat. 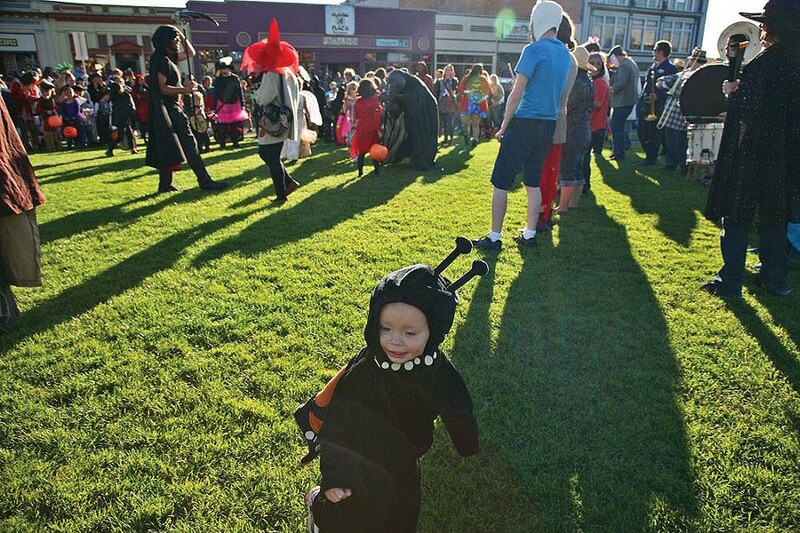 In Arcata, little Elsas and Bernies can scamper around the Arcata Plaza from 4 to 6 p.m. visiting merchants giving out candy and mingling among giant puppets, jugglers and more (free). The Halloween Fairy will also be posing for pictures. Trick-or-treating goes down in Old Town Eureka from 2 to 4 p.m. with participating businesses handing out candy to costumed kiddies 12 and under accompanied by an adult (free). In Fortuna, little minions 12 and under in costume and with an adult are invited to candy-handle downtown from 3 to 5 p.m. (free). Farther south, kids in costume can parade and trick-or-treat at the Benbow KOA at dusk, after cupcake decorating and a movie from 3 to 5 p.m. (free). There's a lot of ground to cover, but that's why Snickers and sneakers were invented. You got this, parents.